Warning: The following contains spoilers for Marvel’s War of the Realms miniseries. 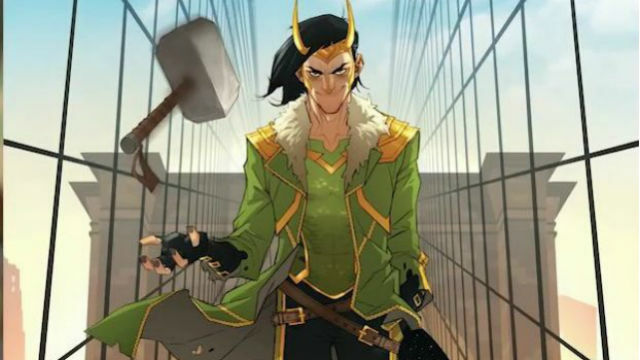 Loki is about to get his own live-action TV show on Disney+ with Tom Hiddleston reprising his role from the MCU films. However, it looks like the character is about to make a big splash in Marvel’s comic book universe as well. 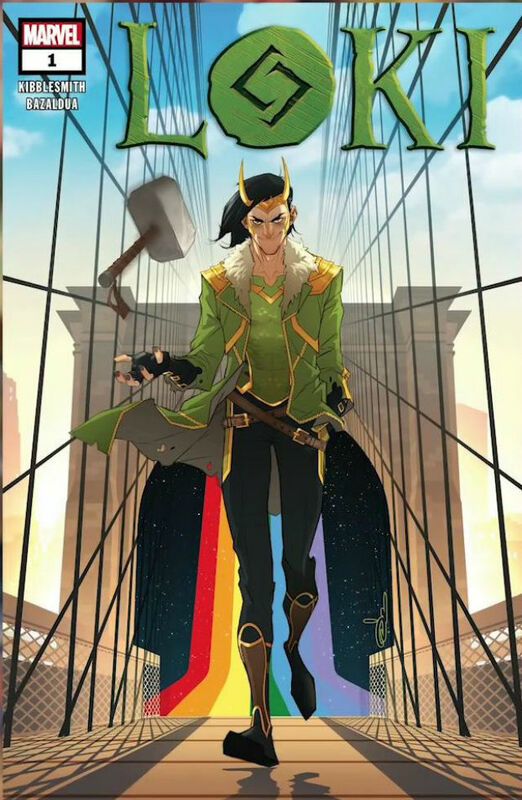 Via BleedingCool, the God of Mischief will headline a new ongoing series starting in July. The new series picks up immediately after the conclusion of Marvel’s current War of the Realms crossover event. On one hand, this comes as a bit of a surprise. Last week’s War of the Realms #1 showed Loki getting eaten by his biological father, the Frost Giant, Laufey. Of course, few comic characters actually stay dead, and Loki has a particular fondness for faking his own demise, so the news of his survival isn’t without precedent. Loki comes from writer Daniel Kibblesmith and artist Oscar Bazaldua. Kibblesmith previously worked with Marvel on their Black Panther vs. Deadpool series earlier this year. He is also a comedian who has written for The Late Show with Stephen Colbert since its inception in 2015. Meanwhile. Bazulda has collaborated with writer Kelly Thompson on Marvel’s Mr. and Mrs. X. You can check out Loki #1’s cover, illustrated by Ozgur Yildirim, below. Will you be picking up a copy of the series’ first issue when it goes on sale? Let us know in the comment section below!